Lee Elizabeth Maynard and Jacob Seth Mack were united in marriage at Ashland Place United Methodist Church on December 10, 2016. The Rev. Charles H. Hale officiated. The bride is the daughter of Ms. Ashley Phillips Maynard of Mobile. The groom is the son of Ms. Judy McMillan Mack and Mr. and Mrs. John Allen Mack of Monroeville. 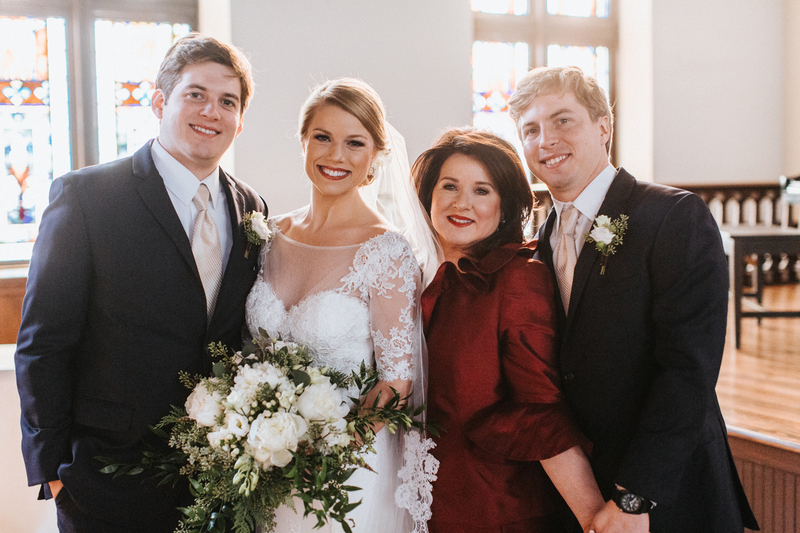 To the traditional hymn “Be Thou My Vision”, performed by violinist Katherine Hill, Elizabeth was escorted by her brothers, Austin and Jeb Maynard. 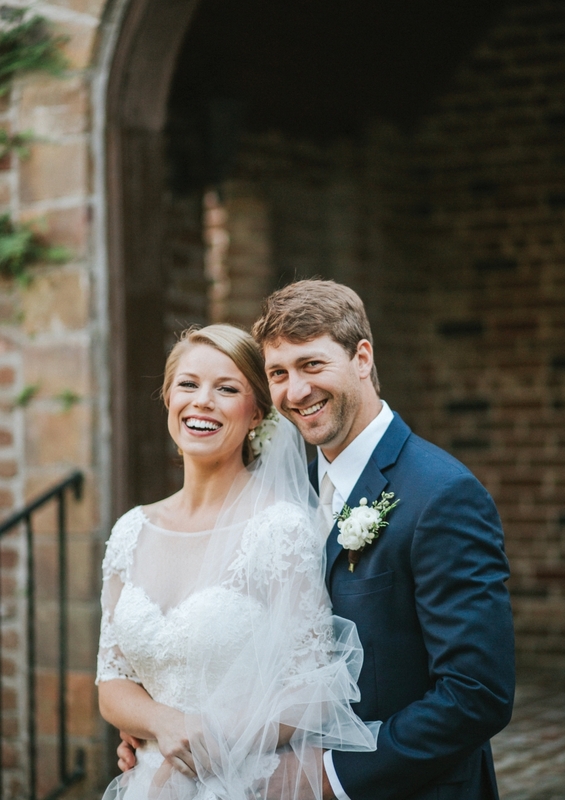 She wore a Justin Alexander gown with a cathedral-length veil trimmed with lace from her mother’s wedding dress. She carried a winter-white bouquet of hydrangeas, peonies, Dendrobium orchids and lisianthus, with touches of Italian ruscus and cedar by Beckham’s Florist. The bride chose Elizabeth Hogenkamp as her matron of honor and Challey Legg as her maid of honor. Bridesmaids were Monica Cotton, Laura Curtis, Allison Dawson, Sydney Loper, India Maynard, Anna Rhoades, Emily Weeks and April Whisenhant. The groom chose his brother, Josh Mack, as his best man. Groomsmen were Chris Chambers, Kyle Dorriety, Jay Michael Franklin, Austin Maynard, Jeb Maynard, Sam McKelvey, Danny O’Brien and Justin Whatley. Flower girls were Hettie Williams and Bonnie Capel, and ring bearer was Land Williams. 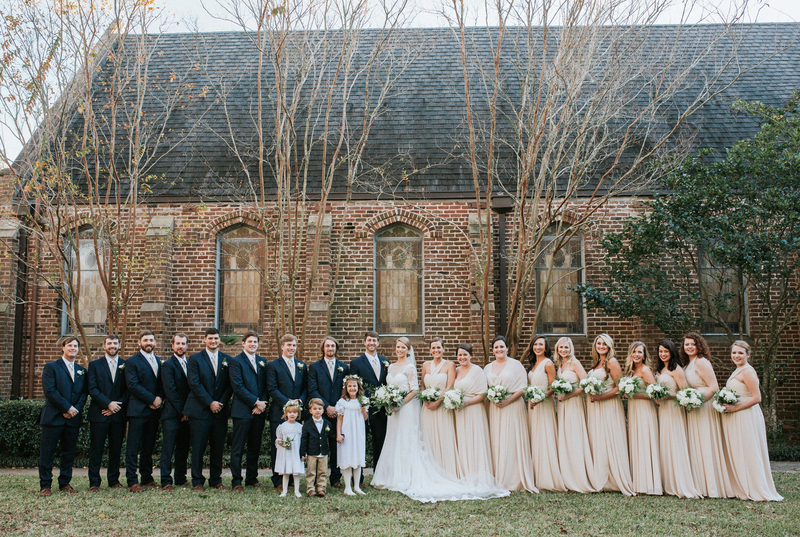 Following the ceremony, a reception was held at The Steeple, which was adorned with evergreen, cedar and winter-white arrangements by floral designer Stef Maynard. After dancing the night away to music by Paw Paw’s Medicine Cabinet, the couple traveled to Highlands, N.C., for their honeymoon and now resides in Mobile.